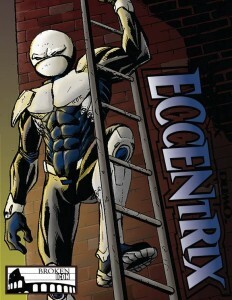 The Eccentrix is gonna be BOSS! We’re jetting out the gate with a great foreword by 6-time-in-one-night Harvey Award nominated writer James Asmus and some great colors by Nick Wentland! We can’t wait to show more, but we’re going to have to. You know, to build anticipation. This entry was posted in Eccentrix. Bookmark the permalink.